Properties in Cornwall average 4.6 out of 5 stars. Property 5: Private decking area & Central location within 5 min walk of town. Holiday cottage near the sea. Property 9: Holiday cottage near the sea. 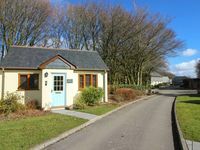 Beach hut themed, contemporary self catering bungalows in woodland setting . Property 11: Beach hut themed, contemporary self catering bungalows in woodland setting . Property 13: Bird's Nest is a Fisherman's Cottage in Looe seconds from beach. Detached Cottage, 5 minute walk to the Beach - Dogs welcome. Property 35: Detached Cottage, 5 minute walk to the Beach - Dogs welcome. Family Friendly Holiday Bungalow, sleeps six. Property 37: Family Friendly Holiday Bungalow, sleeps six. Two bedroomed bungalow with Pirate themed features for the young at heart. Property 47: Two bedroomed bungalow with Pirate themed features for the young at heart. Heart of Cawsand, Cornwall's Forgotten Corner, ideal for Family Holidays. 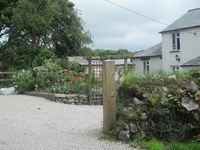 Property 48: Heart of Cawsand, Cornwall's Forgotten Corner, ideal for Family Holidays. The Bailiff's House - Perfect for multiple dogs and their family. Property 50: The Bailiff's House - Perfect for multiple dogs and their family. Cottage was co but were still able to get out and m comfortable and conveniently located for us and Saffy the dog to have country walks and a mile or two on the coastal path. The secure rear area was very convenient for the dogs security when let out. The fitments and furnishings were excellent and it was so tidy and clean on arrival wit a cream tea to welcome us. Electric heaters were a God send when we had heavy rain, sleet and hailstones on our first 2 days but were still able to get out and dodge the showers. Widescreen TV wiht Freeview were 1st class. Peaceful, quiet and very pleasant surroundings but we did ot see a Kingfisher! We enjoyed our time there and would recommend it to others who enjoy the country, walks and peace and tranquillity. Meget yndigt lille hus til to personer - 10 stjerner! Sweet Pea levede dobbelt op til vores forventninger. Alt var skinnende rent, og det meste i k&oslash;kken og bad var helt nyt. Den lille stue var meget hyggelig med k&oslash;nne m&oslash;bler i engelsk stil. Haven var utrolig smuk med blomster og buske, og det hele var meget velplejet. Beliggenheden er rigtig fin til at komme rundt p&aring; alle de sev&aelig;rdige kyster i Cornwall. Susan og Anne var meget s&oslash;de. Vi fik velkomst med scones og clotted cream samt the. Vi kommer meget gerne igen - stedet er yderst anbefalelsesv&aelig;rdigt.